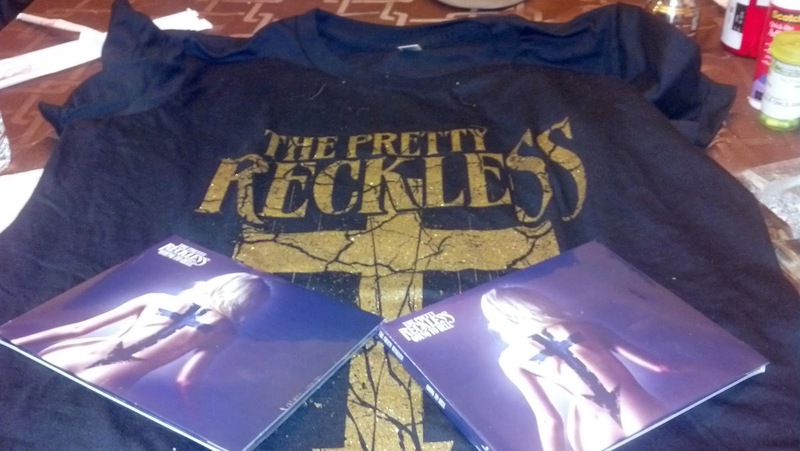 Item #1: CDs and T-Shirts from The Pretty Reckless! I've been waiting so eagerly for this package to arrive! Actually, when I checked my email this morning I had a couple messages from Canada Post saying that my package was going to be delivered to me today, I started freaking out. About a minute later I thought, "Go check the mailbox, dummy!" Good thing I did, because there it was sitting, a wrapped-up package from Maple Music, where I pre-ordered the package from. 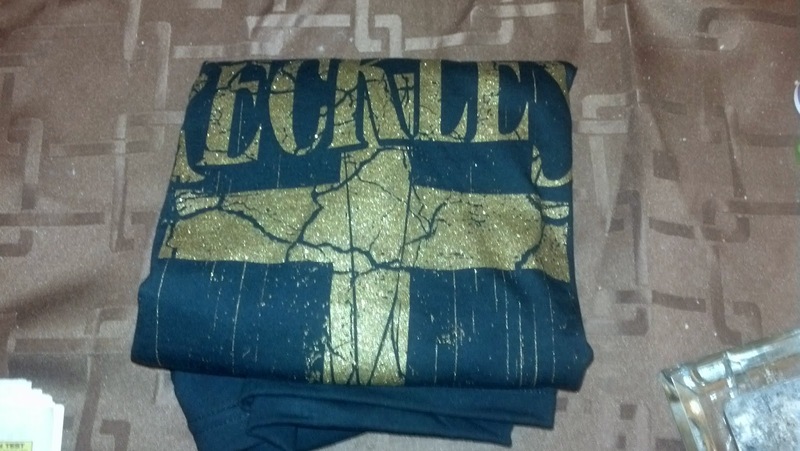 The reason I ordered 2 CDs and 2 T-shirts is because the second set is for my sister-in-law, Brittany. 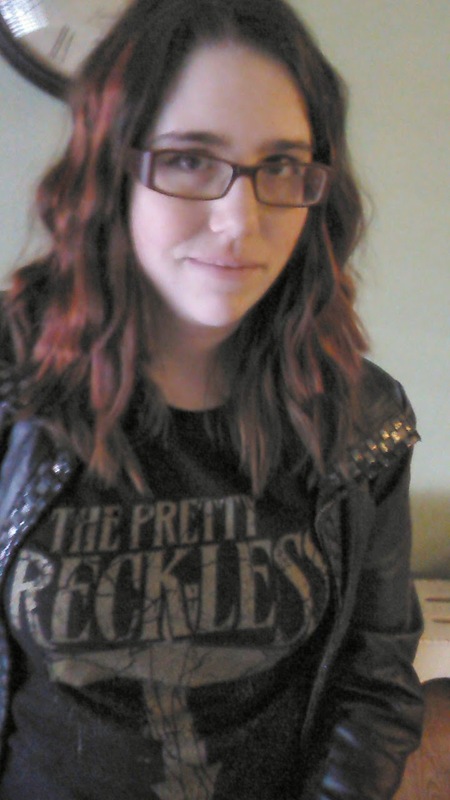 As I mentioned in a blog post from way back, I went to go see The Pretty Reckless live in November, and it was my darling sister-in-law that took me. I didn't tell her I bought her the CD and shirt - it's a complete surprise ;) Even today when I texted her to tell her that I received her surprise gift in the mail, I didn't tell her what it was. I can't wait to see the look on her face when I hand these to her! Already I'm on my 3rd listen of the album in full, and I'm absolutely loving it! I've been anticipating this album for a while, and I'm honestly tempted to dedicate an entire post towards it. Only once have I attempted to write an album review, which was for a class, and it didn't go over well. In the end I wrote a book review instead, and got 80% on it :) Even so, with practice I could end up getting better, so I believe that I will have to give it a shot! Yesterday I had my hair all wavy like this because I'm going to an event tomorrow and I wanted to see if this look would work for that event. I can confidentially say yes, my hair looks bangin'! XD Even after sleeping in it, as you can see in the above picture, the waves still look pretty great. Yesterday upon seeing me, my boyfriend told me he thought I looked like a rocker chick, and I think with today's shirt and some eyeliner that look is emphasized even more! The leather jacket certainly helps things, although I wasn't able to walk out the door with the jacket because it was too cold out XP got stuck wearing my Kelly green winter jacket, and while I do love it, the colour didn't exactly help me look like a rocker chick XP One thing that I think will help if I ever want to try the rocker chick look again is when I get my hair fixed up at my hair appointment next week. Right now I have red 'peekaboo' streaks in my hair, which you can't really see because of lack of light and because they're fading. I've decided I'm going to attempt having midnight blue in my hair instead of the red, a colour I've always been curious to try out. Seriously can't wait! Went off on a little tangent there, sorry. Also knew that if I filled up that area with text next to the picture that it would look nicer. That's it for mail today! I'm hoping to get some things mailed off tomorrow if all goes well. I'll be sure to keep you posted.